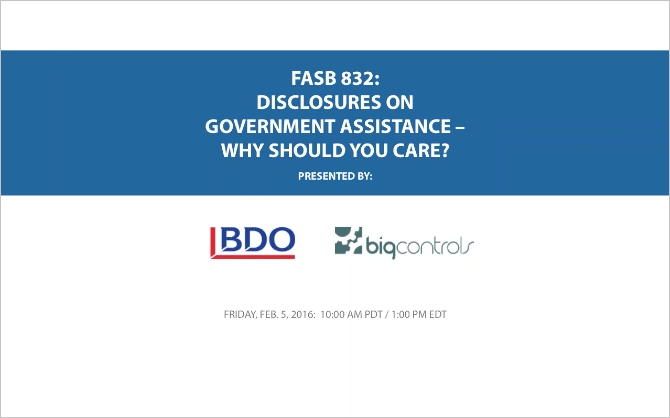 Watch the recorded webinar "FASB 832: Disclosures on Government Assistance - Why Should You Care?" Recorded on February 5, 2016. Speakers: Lee Klumpp from BDO & Scott Nelson from BIGcontrols. Please fill out the brief form below to view the recorded webinar.